There is no need for you to make pointless efforts to clean home or office rugs. Our trustworthy rug cleaning service is what you need. It suits any budget and it comes with full eco-friendly cleaning equipment provided by us. Do not doubt to reach us for further details. You can contact our customer support representatives anytime you want. Ask for a free consultation right away! Use this phone number 020 3404 4083 at any convenient for you time! How Our Rug Cleaners Work? 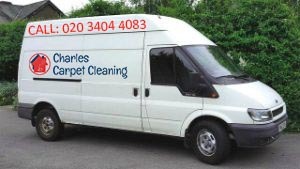 Charles Carpet Cleaning has been on the rug cleaning market for more than 10 years. We have made numerous different studies and tested thousands of detergents aiming to discover the best alternatives for more special items like Persian, Egyptian, Turkish, Shaggy, Tibetan, Chinese, Oriental rugs. Today, we accept different rug types including decorative, hand-knotted, antique. We provide the entire cleaning equipment: modern machinery, organic and toxic-free detergents. We never leave a property with an unfinished job. And we are always ready to work even after-hours. Our team is composed of trustworthy rug cleaners in London. They are fully insured and vetted. If you want to, we can organise key pick up delivery, so you can be away from home during the procedure. Take all of the benefits of receiving the diligent rug cleaning service in London. Get a free quotation right away! Do not hesitate to contact us immediately. Just dial this number 020 3404 4083 and get in touch with our friendly English speaking consultants. They will process your order as soon as possible!